For the period ending March 23, 2018 ... New DVD and Blu-ray selections added to the DVD & Blu-ray Release Report's database. A story about a mysterious creature and research scientists ended up being best picture of the year. Of course we are talking about The Shape of Water, which began filming in 2016. 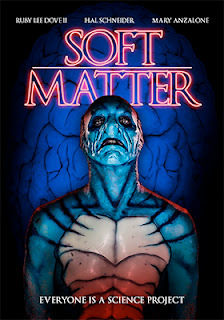 Wild Eye Releasing, with sales and distribution expertise provided by MVD Entertainment Group, has selected May 22 as the DVD debut date for writer/director Jim Hickcox’s Soft Matter, which also features a mysterious creature and research scientists. However, genre fans will soon see that the similarities between Hickcox’s research scientists and their mysterious creature and those of Guillermo del Toro’s begin and end right there. Filmmaker Jim Hickcox has been perfecting his craft for over a decade — grip, gaffer, cinematographer, electrician, editor, writer, director, producer, etc. 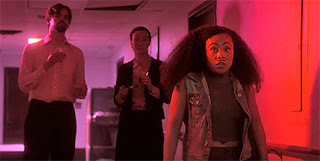 — and at about the same time that Guillermo del Toro was going into production on The Shape of Water, Hickcox was busy exhibiting his award-winning (kickstarter-funded) short film Slow Creep (about a mutating pile of garbage) at festivals. It was time (in the fall of 2016) to make the move from producing short films (The Rise of Kenji Gojira, Fantastic the Amazing, True Will, Slow Creep, etc.) to that of a feature film … Soft Matter is the result of a decade of hard work and learning the craft. Another thing that genre fans will learn on May 22 is that Soft Matter is not a quickie rip-off of The Shape of Water as its production history belies that assertion. As to the story itself, a pair of Austin, Texas graffiti artists by the name of Kish (Ruby Lee Dove II) and Haircut (Devyn Placide) happen upon what they believe to be an abandoned medical facility — formerly used for hospice care — and are inspired to turn its interior walls into an impromptu art exhibition. They quickly spread the word among the local critics in the hope of getting their work noticed (sort of an instant art-rave). What Kish and Haircut are blissfully unaware of, as they begin their work, is that two “mad” scientists — Grist (Hal Schneider) and Kriegspiel (Mary Anzalone) — are also making use of the seemingly abandoned facility. They are working on a process to make humans healthy and perhaps immortal, but as Leo G. Carroll learned when his “tarantula took to the hills” that mad scientist experiments, no matter the motives, usually end up with creatures that go on killing sprees. With the arrival of the Austin art critics (aka: the victim pool), Kish and Haircut’s art exhibition quickly descends into a haunted house thriller as artists and scientists alike try to find hiding places to escape the creature’s wrath! For a grand time in a “haunted house” — complete with creature “that spits lightning and kills” — mark May 22 on your viewing calendar for the DVD arrival of writer/director Jim Hickcox’s Soft Matter from Wild Eye Releasing. Mill Creek Entertainment expanded its May 1 DVD and Blu-ray release calendar this past week with news that a six-disc, 14-film collection of Mary Higgins Clark-inspired films will be available on DVD at the bargain price of just $29.98. Fans, if they binge-watched the entire collection would need a full day to enjoy them all (with just enough time for bathroom breaks and snacks). So let’s get to the contents of what is included in the Mary Higgins Clark 14 Film Collection! Working in chronological order we begin with director Bruce Malmuth’s 1986 film adaptation of Clark’s 1975 novel, Where are the Children?, starring Jill Clayburgh as Nancy (aka: Nancy Eldridge and Nancy Holder), the mother of five-year old Missy and six-year old Michael. 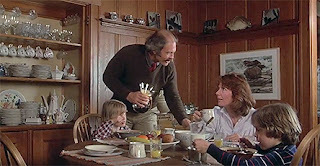 Along with her husband, Clay (Max Gail), they live in a wonderful house on picturesque Cape Cod … it’s perfect, perhaps too perfect. In short order the children are abducted and the local radio station receives a mysterious letter that exposes Nancy’s troubled past … she was convicted of murdering her two previous children and sentenced to death. But, her conviction was overturned on a technicality and she could not be retried for the murders. Is it all happening again? Fans of Mary Higgins Clark know from the get-go that it can’t be that simple … and sure enough, Where are the Children? is loaded with twists, turns and a whopper of a surprise ending. And this suspense thriller is just the first of 14 in the collection! Next up is the 2001 made-for-TV film adaption of Clark’s 1991 mystery novel Loves Music, Loves to Dance, which finds Darcy Scott (Patsy Kensit), a talk-show producer, going to extraordinary lengths to solve the death of her friend, who was using an online dating site. Darcy is convinced that the killer is one of her dates and decides to work her way through the list until she finds, you guessed it, the killer! 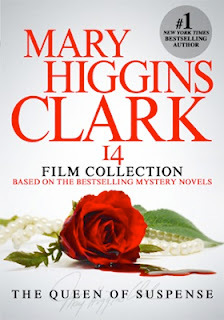 With the success of this first MOW, the flood gates opened and from early 2002 through mid-2004 twelve more of Mary Higgins Clark’s mystery novels were produced as star vehicles … and the are all included in this marvelous collection. They are: Pretend You Don't See Her (2002, with Emma Samms), You Belong to Me (2002, Lesley-Anne Down), Haven’t We Met Before (2002, Nicollette Sheridan), Lucky Day (2002, teaming Amanda Donohoe and Karen LeBlanc), All Around the Town (2002, with Nastassja Kinski and Andrea Roth), We'll Meet Again (2002, Laura Leighton), He Sees You When You're Sleeping (2002, Erika Eleniak), Before I Say Goodbye (2003, Sean Young), A Crime of Passion (2003, Cynthia Gibb), Try to Remember (2004, Gabrielle Anwar), The Cradle Will Fall (2004, Angie Everhart) and I'll Be Seeing You (2004, starring Alison Eastwood). Arrow Video, with domestic sales and distribution expertise provided by MVD Entertainment Group, has selected May 15 as the street date for the stand-alone Blu-ray presentation of writer/director Herschell Gordon Lewis’ 1964 slaughterfest, Two Thousand Maniacs. 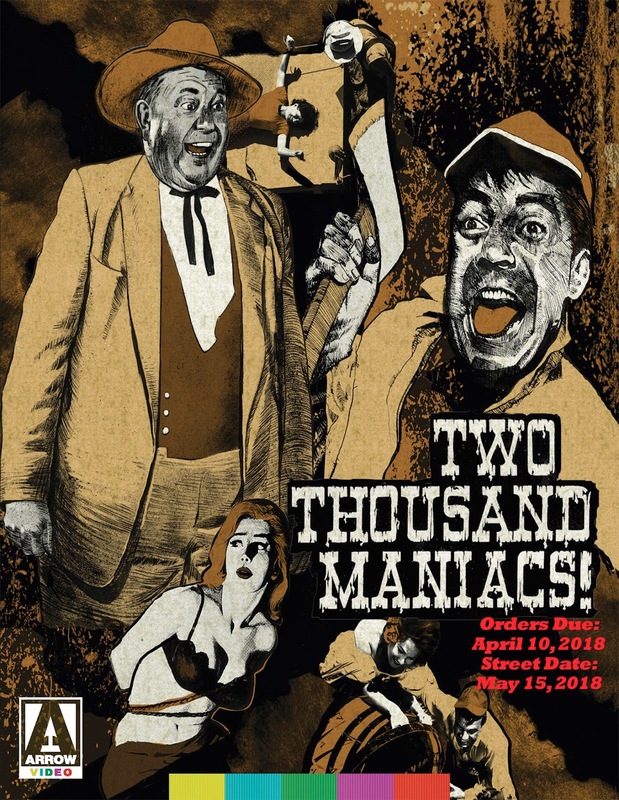 Arrow has been systematically going through the massive 17-disc release of The Herschell Gordon Lewis Feast (out last Halloween) and breaking out the individual components in smaller units (bite-size chunks). Bonus delights included with this SKU start with the bonus feature of Lewis’ 1964 non-horror flick, Moonshine Mountain, starring and written by Charles Glore as a country recording artist who returns home only to get caught up in a moonshine war.